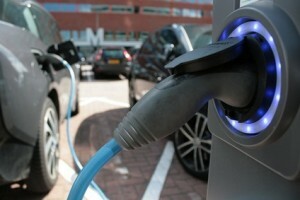 Home › Technology › Have You Considered Buying an Electric Car? Have You Considered Buying an Electric Car? Despite what Clarkson may think, a lot of people I speak to are becoming increasingly concerned about the levels of emissions which are produced by today’s vehicles. Many seem to be naturally interested in vehicles which run on alternative fuel sources which are cleaner and greener than petrol or diesel. There is also apparent a growing drive to create vehicles which are less dependent on oil (which is refined to produce petrol and diesel), as this would give vehicles better fuel security in the global political climate. One such alternative is a vehicle which runs on electric. If you are considering buying an electric car, then you should read the points below between electric and petrol/ diesel that might help you to make a choice that fit your needs. One of the primary reasons for choosing an electric car is that electric vehicles produce fewer emissions than petrol or diesel vehicles do. It is worth nothing that greenhouse gases and pollutants may be created as part of the process which produces electricity for vehicle use, because the majority of electricity in the United Kingdom still comes from fossil fuel sources. ‘Emissions’ levels are further reduced if the electricity which you use to top up you vehicle comes from a renewable source. If you are considering choosing an electric vehicle for its green credentials, you should make sure that you have access to energy that you know is renewable. Lower emissions also mean that vehicles are exempt from paying extra charges in low emissions zones and congestion charge areas. Charging is the primary concern for new electric car owners. Charging points are obviously not as widely available as petrol or diesel pumps are at the moment, meaning that you will have to plan your journeys more carefully. Some duel fuel vehicles are available, which slightly ease the burden of charging, as they allow the vehicle to run off of conventional fuel until it is possible to reach a charging point. Charging is also far more time consuming than filling up with liquid fuel is. Depending on your vehicle and charging capabilities, electric cars can often take between 6 hours and 10 hours to charge to full. Even cars which are able to charge using High Performance Chargers will take 45mins to charge to 80%. Charging the last 20% will usually take much longer. The battery life of an electric car is normally only 5 to 8 years. This is less than the standard life of an engine in a normal vehicle. The battery’s ability to hold charge will also decrease over the life off the battery, meaning that it will become less efficient as time passes. When you buy an electric car, you should talk to the dealer about common tips and tricks which can improve the battery life, as well as mistakes which owners may make that could reduce the battery life. A healthy battery will be able to take your car about 100 miles before it needs to be charged, however the range is likely to change in hot or cold weather, or if the driver uses aggressive driving techniques. An electric car may be a great choice if you live in a city and only drive short distances at time, but if you need to drive longer distances in one go then an electric car probably would not be a suitable choice for you, unless it was one which had a dual fuel option. If you live in an area where you have ready access to charging facilities, then it can actually be much cheaper to run an electric car. On average, it costs about one fifth of the amount per mile that it would cost to run an electric car than it would to run a petrol vehicle. If you travel shorter distances, but you travel often, then these vehicles may be the right option for you. They are ideal for people who do a lot of city driving in this respect, especially those who drive in a city where there is a congestion charge based on emissions, such as London. There are a lot of positives to running an electric car, but they are not the right vehicle for everyone. They are better suited to people who drive shorter distances and who have access to a spare vehicle for longer routes. For the foreseeable future I’ll be sticking to good old fossil fuels.